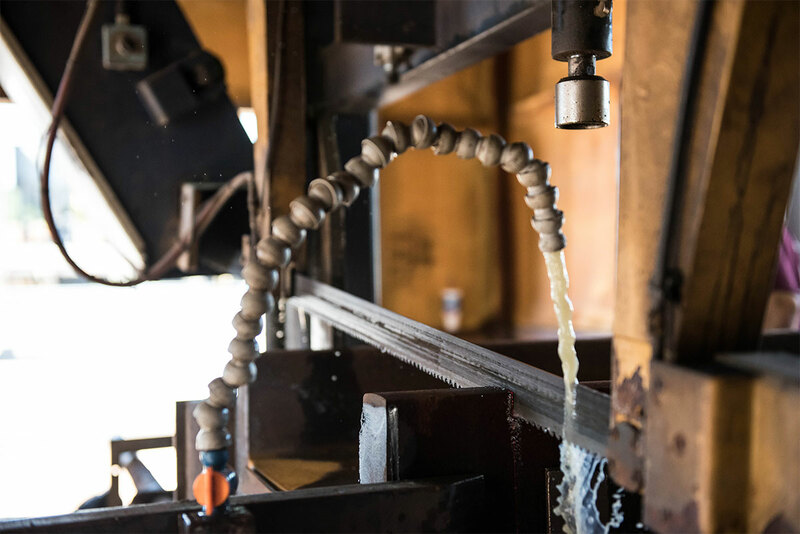 We occupy 76,000 square foot fabrication plant on approximately 17 acres, keeping a competent, dedicated, willing staff of fabricators and skilled craftsmen. This staff of up to 160 is large enough to ensure an energetic pursuit of project completion. 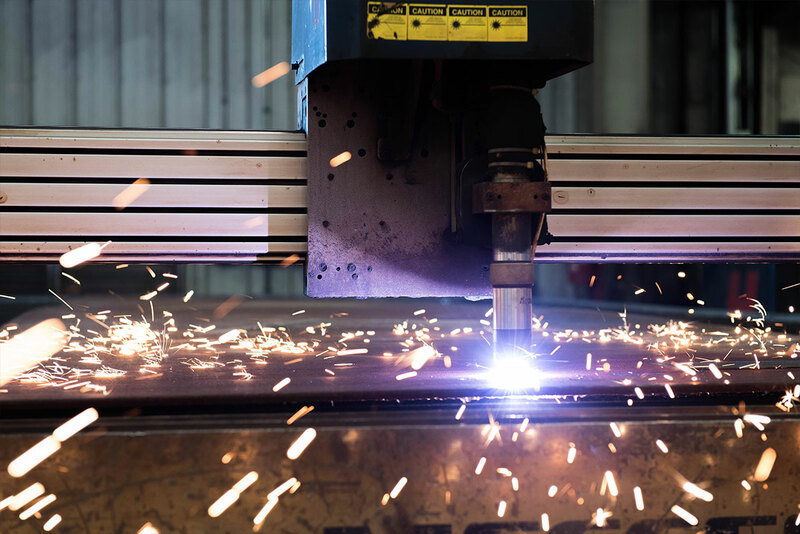 PythonX is the robotic CNC plasma cutting system that has revolutionized structural steel fabrication. More than a machine, PythonX has created a NEW STANDARD in the way you think about running a fabrication shop. 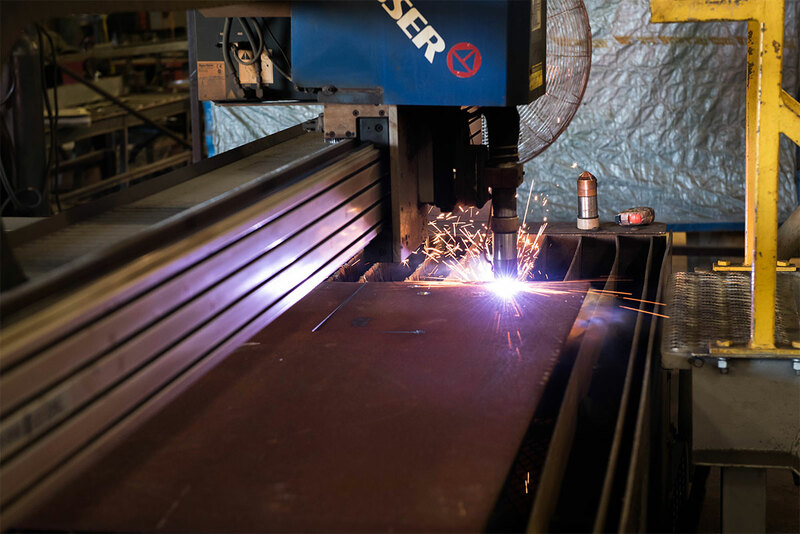 It's the marriage of advanced CNC robotics to high-definition plasma cutting. 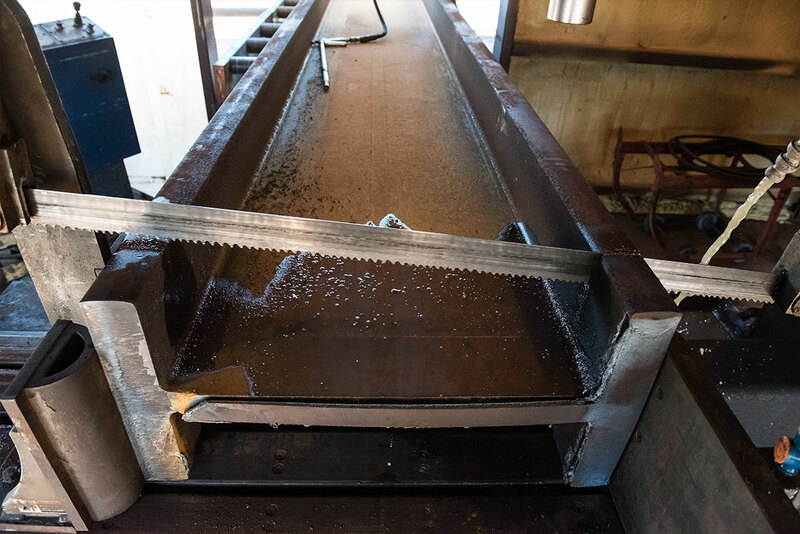 Traditional fabrication involves layout of the cuts, moving the beam from the drill line to the band saw to the coping station. It takes too much time, too much space and is prone to error. PythonX solves those problems. You load the beam on the infeed conveyor and input a part file from TEKLA, SDS/2, StruCAD or other detailing software. PythonX calculates the cutting path and sequence, moves the beam into position, and starts making all the needed cuts and features. It starts at one end of the beam and works to the other end, making all the cuts in one pass. 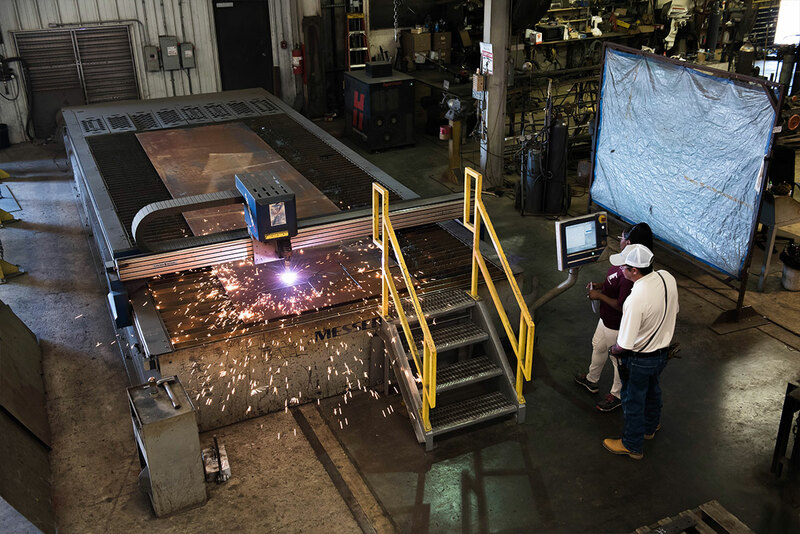 PythonX is the robotic CNC plasma cutting system that has revolutionized structural steel fabrication. PythonX calculates the cutting path and sequence, moves the beam into position, and starts making all the needed cuts and features. It starts at one end of the beam and works to the other end, making all the cuts in one pass. The Controlled Automations Angle and Bar Line is designed to be fast, accurate, and simple to operate. It features TWO 86 ton punch units for simultaneous punching, its high speed servo motors, continuous probing and clamping, and sophisticated servo and valve positioning software make it not only fast, but more accurate than the competition. The Ocean Avenger not only lays out and drills all your holes in any steel profile in a fraction of the time it takes you to do it manually with a mag drill, but it also lays out the marks for all your welded attachments. The Ocean Avenger can also easily process all steel profiles including channel, angle, flat bar, base plates, RHS, square and round profiles. Pangborn Europe Steel Strip Descalers are specifically designed to treat steel strips (carbon, alloy or stainless steel) on a continuous passage under the blast streams at a given speed. The modular blasting cabinets are conveniently arranged and equipped with a number of wheels in order to achieve the required production rate. 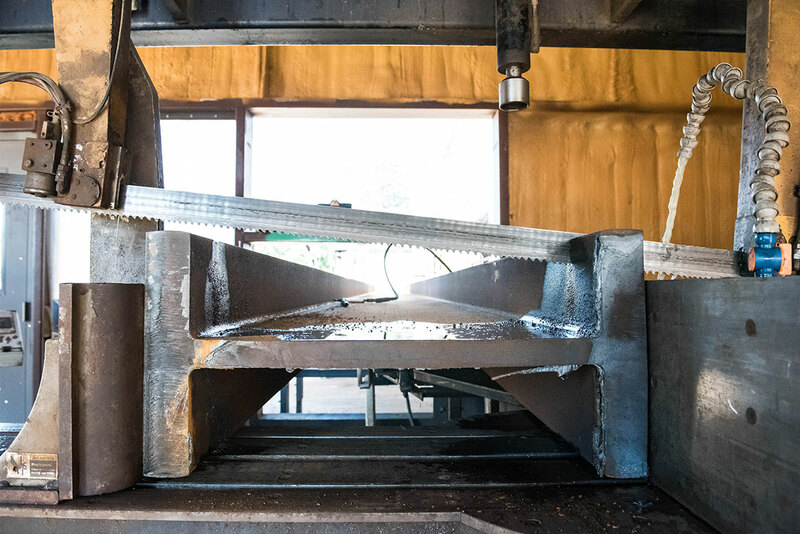 Heavy Duty Band Saws for Structural Steel The Ocean Terminators have earned a reputation for being the strongest, yet most economical Dual Column Double Miter Saws for structural steel. The Ocean Terminator includes heavy duty frames driving large blades for accurate cutting and strong high HP motors to handle all sizes of steel profiles. The Messer MetalMaster achieves smooth edge quality, precise hole cutting, and high accuracies through advanced engineering. The MetalMaster includes bilateral longitudinal drives with precision guiding system maintains accuracy over long periods of use. 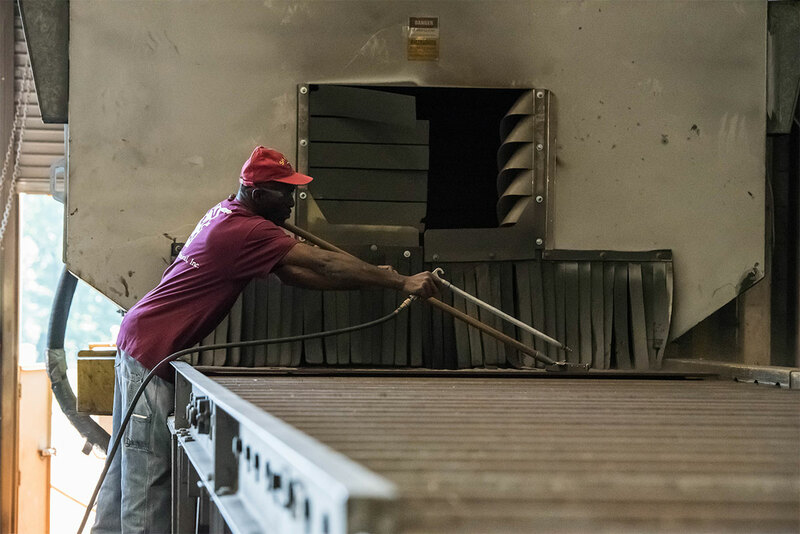 FWM Mechanical offers a finishing facility where sandblasting and industrial-grade paint services are provided to our customers. The visual aesthetics and protective properties of a proper finishing for your metal fabrication project cannot be overvalued. As such, finding the right paint as well as the right method to apply it, is essential. you want your paint to look great, but you also want something that will withstand the battery and exposure your final product will encounter.